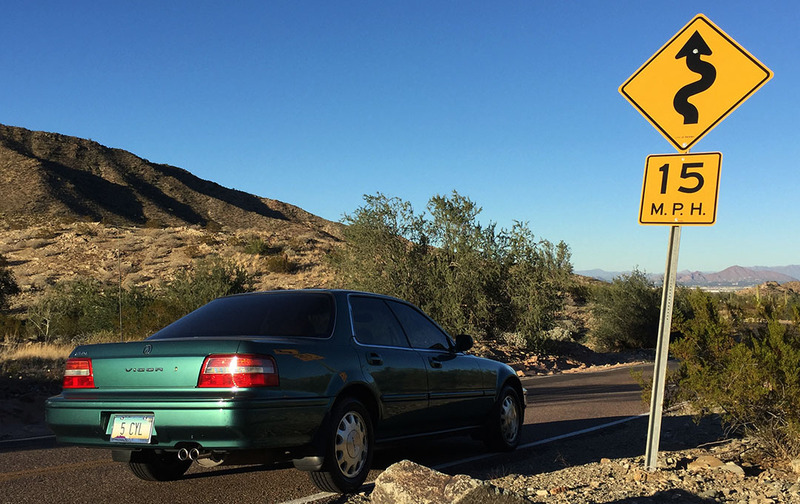 The 1994 Vigor GS came out to play for a bit in the beautiful Phoenix weather this weekend. I drove through South Mountain Park and captured a few images in the bright afternoon sunlight. Moonroof open, of course. Arcadia Green in all its glory. And a few cacti thrown in for good measure. On Sunday morning, I met up with my friend and avid road-tripper Kevin at the Phoenix Botanical Garden near Papago Park. After brunch at Gertrude’s there, we headed over to Tempe to check out a new feature there. 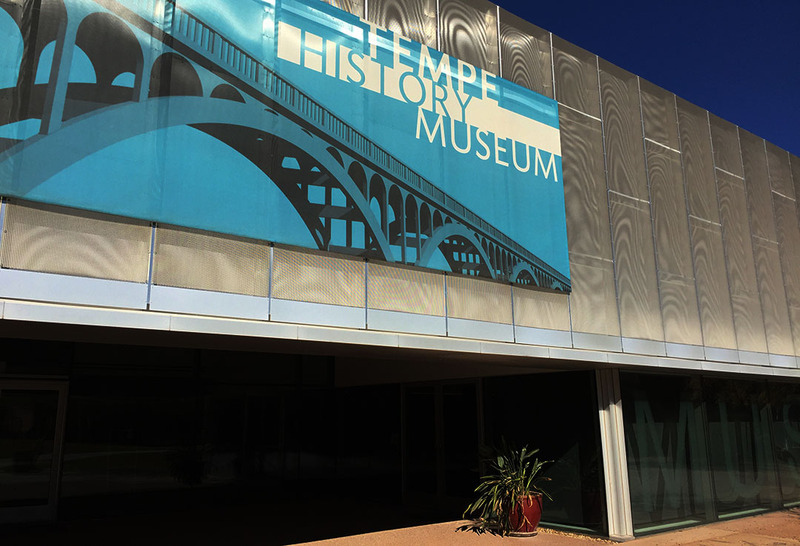 For about the next year, a special exhibit is on display at the Tempe, Arizona History Museum. 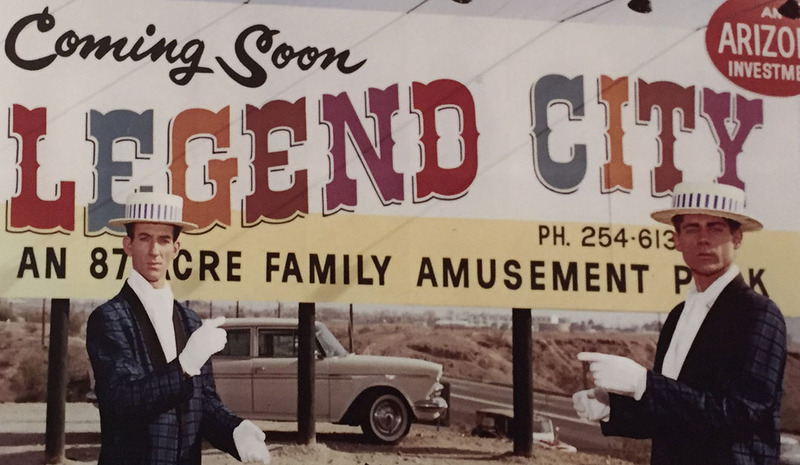 It’s dedicated to a long-gone landmark from the Phoenix Valley: Legend City. Concocted from one 28-year-old entrepreneur’s dream, the amusement park operated (mostly in the red, financially) for two decades until its close in 1983. I wish I had been able to visit this place, but by the time I was two years old, its features were already being auctioned off and the land being razed to make way for industrial development by its new owners. I have always had a fascination with abandoned sites and the history of infrastructure, so the story of Legend City caught my attention right away when I learned of it. The fact that it has Legend in the name was just a sheer bonus. Kevin and I enjoyed walking around the exhibit and seeing all sorts of artifacts. They even had one of the old gondola “pods” on display that at one time used to transport park-goers via cable some 100 feet above the ground across the site from end-to-end. When Louis Crandall, the father of Legend City, designed his theme park, it was modeled loosely after Disneyland, with a train station out front sharing clear similarities to that of Disneyland. 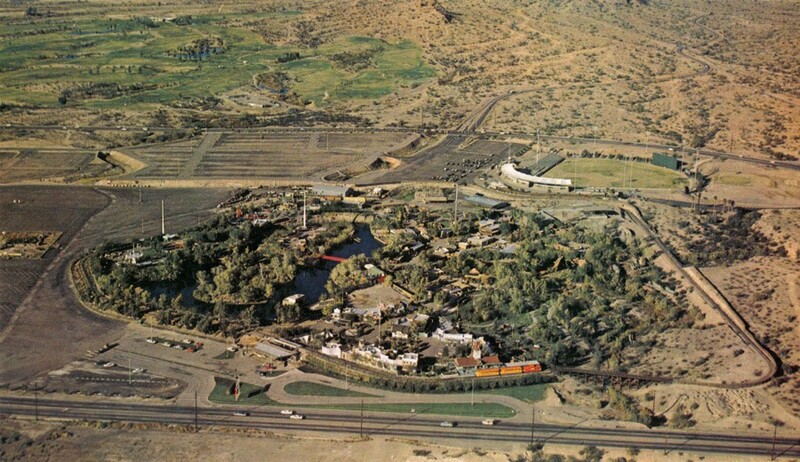 Among the many attractions within were a miniature golf course, a rollercoaster called the Sidewinder, boat rides, and a shooting range. Admission for adults back in the early 1960s was a steep $3 per head. Here’s some food for thought: $3 in 1963 is about $24 in today’s dollars. 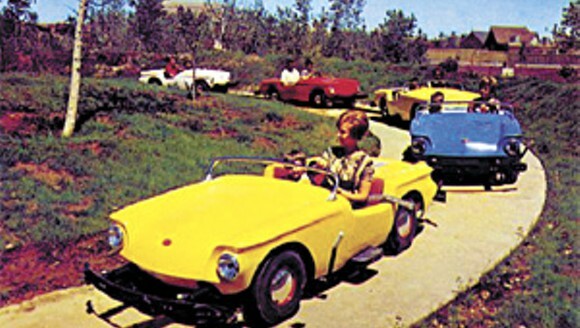 Do you know how much a park pass to Disneyland costs today? $235. Ouch. Aerial view of Legend City in its prime. By the late 1970s, after some ownership changes, a 20,000-capacity stadium venue was carved out of the southeast corner of Legend City, called Compton Terrace. Fleetwood Mac and many other music groups performed there. 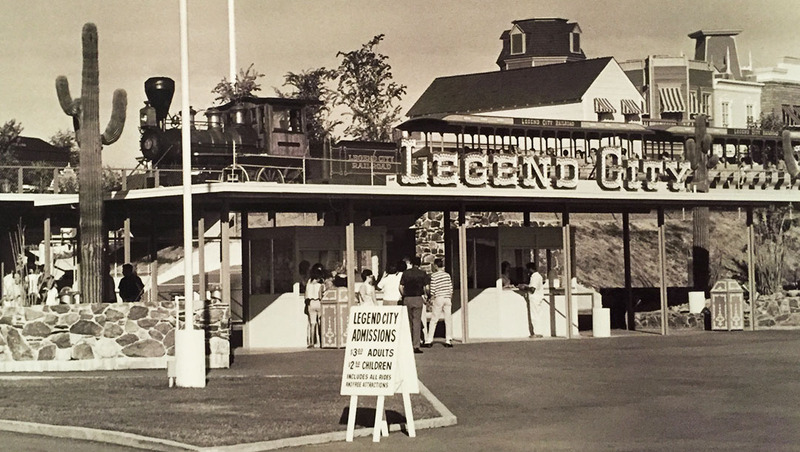 In its final few years, the value of the land on which Legend City sat had far out-valued the payback from keeping the park open, despite the fact that it was profitable by about $1 million per year. The Salt River Project, a utility company, bought out the land and razed all of Legend City. Since then, some roads have been realigned and all-new infrastructure built on that land. There is nothing left of the park aside from the memories. 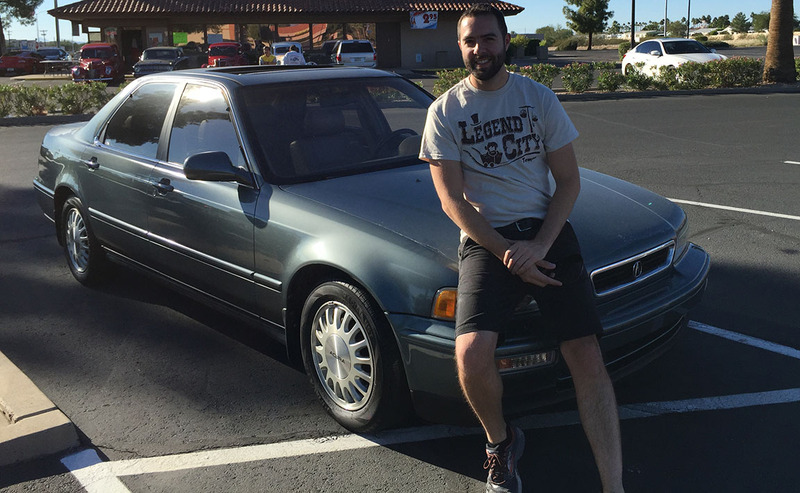 Oh, and this awesome T-shirt I picked up before taking a cruise in my 1993 Legend L sedan. Making a visit out in Mesa, Arizona. 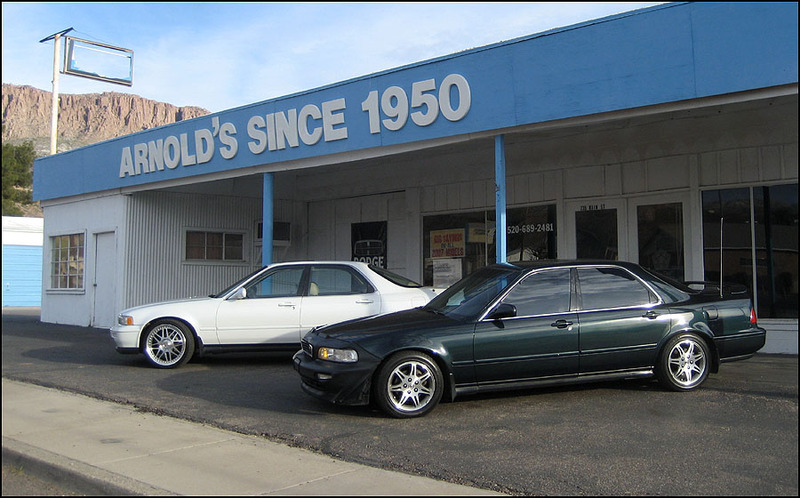 I met up with my friend Chris there who’s a long-time Acura enthusiast. He was one of the first people who I met in the Phoenix area when I moved here about a decade ago. 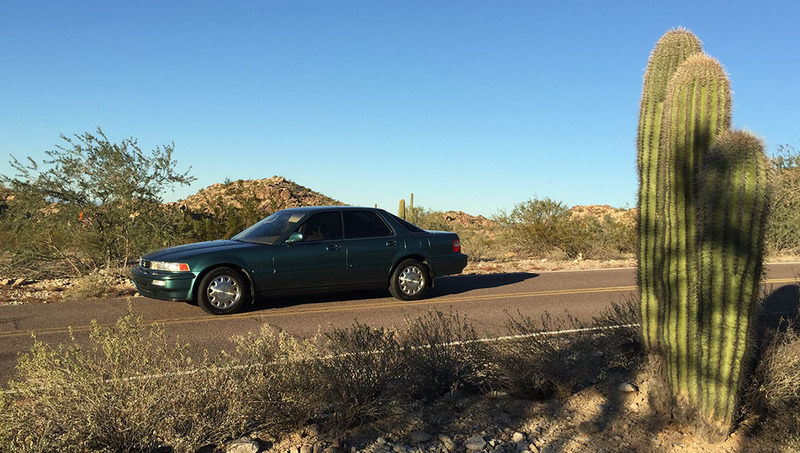 At that time, he was driving a 1994 Legend L sedan. We met up for photos from time to time, including our trip to Tombstone. 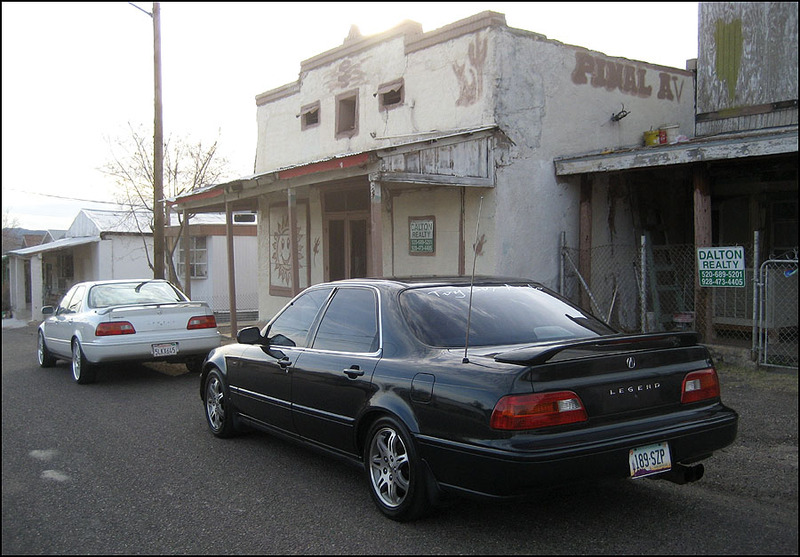 Back in March 2007, we did this photoshoot out in Superior, AZ, when I had a white Legend sedan. 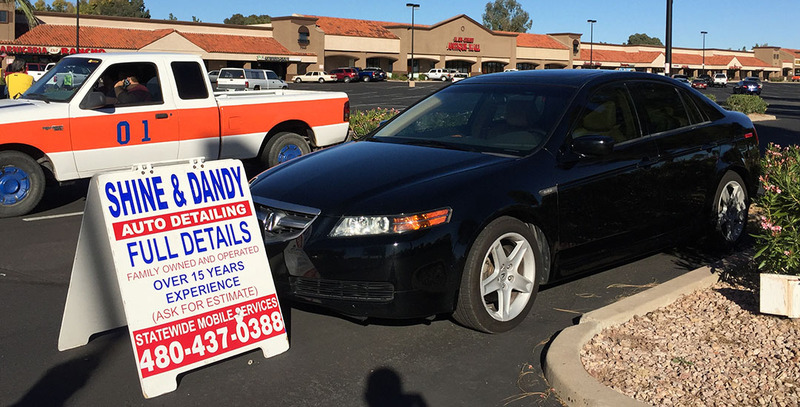 Today, Chris is in this black 2006 Acura TL. He does the best details in the Phoenix area. If you’re local, give him a call! 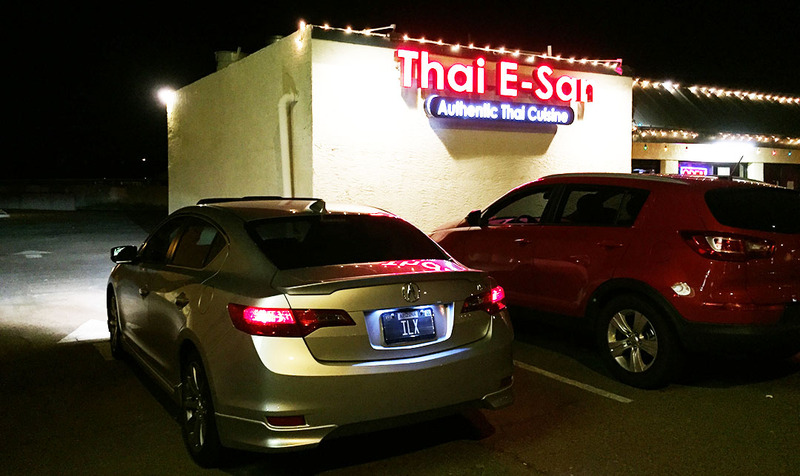 I found a Thai restaurant on Indian School Road in Central Phoenix that almost bears my name. It’s called Thai-E-San. Full review pending after I give the menu a test-drive in the near future. That’s it for quick updates this week. I’m off to southern Utah this week for Thanksgiving festivities. Hope everyone has a great holiday! 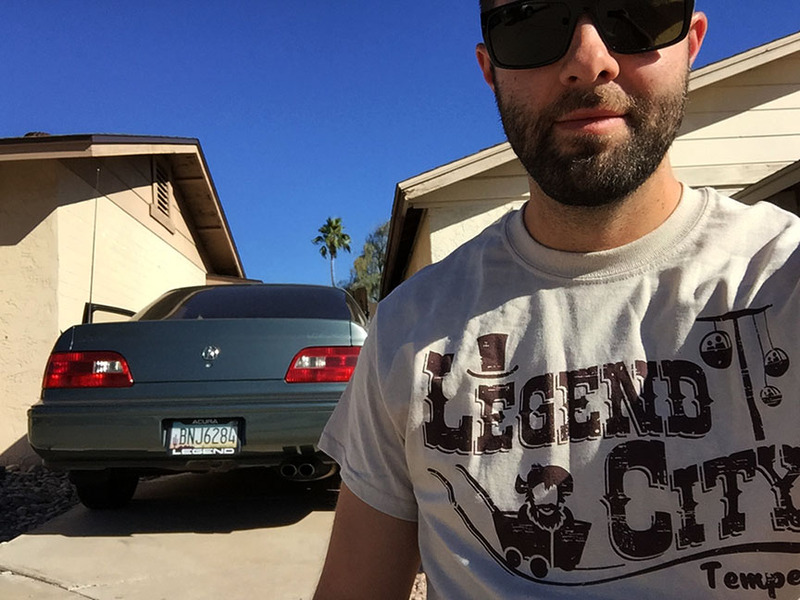 This entry was posted on November 24, 2015 at 10:25 am and is filed under Arizona, Legend, Vigor. You can follow any responses to this entry through the RSS 2.0 feed. You can leave a response, or trackback from your own site. Thanks Brad, and the same to you & yours. As always it’s good to have you as a friend and I hope that our cross paths again soon. Glad to have come into contact with a fellow Honda-head. Talk to you soon! Happy Thanksgiving. Office buildings. The SRP (Salt River Project) campus is at that location today. A few of the surrounding roads are still intact and follow the original layout.